The Daly Ditches Irrigation District (DDID) was formed as a Public Corporation organized under the laws of the state of Montana in 1982. DDID manages 9 main ditches totaling 72 miles in length. From The Old Darby Road to just beyond Popham Lane DDID services 1,986 water users representing 14,837 acres. Daly Ditches requires permits for any work performed on, in or around any of our ditches, structures or easements. Please contact the Office at 406-363-1130 for further information. The District delivers up to 6/10’s of an acre foot per month per irrigated acre when sufficient water is available. Operation and maintenance roads along the main canal are for district access only. These roads are not public roads. Lateral maintenance (cleaning of ditches) from the main canal to the point of delivery is the responsibility of the users of the lateral. Water will not be delivered to laterals that have not been properly maintained. For a more detailed look at our rules and regulations take a peek at the DDID By-Laws and Policies. Marcus Daly, wealthy copper king, arrived in the Bitter Root Valley in 1887. He acquired an extensive estate, built a considerable mansion, and founded the town of Hamilton, which he named after one of his foremen. His arrival marked the expansion of irrigation activities in the valley. He enlarged and expanded the already existing Hedge Irrigation Ditch, and bought the Republican Irrigation Ditch. He also built a canal from the Bitterroot River to lands near Hamilton, reclaiming thousands of acres of bench land on the west side of the valley. He developed plans to extend the irrigation system to the east side of the valley as well, however, his death on November 12, 1900, halted those plans. 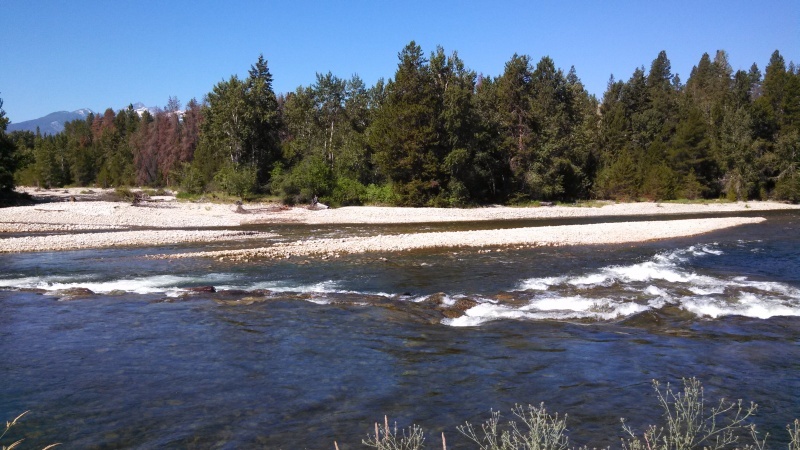 The Republican Ditch was originally constructed by the Republican Ditch Company prior to the year 1885 and in 1907 was conveyed to the Ravalli Land and Irrigation Company and by it deeded to the State Water Conservation Board on October 1, 1942. In 1979, a statute was enacted directing the DNRC to abandon or transfer the Daly Ditch Water Project by December 31, 1982. On December 17, 1982 Daly Ditches Irrigation District was declared a public corporation for the promotion of public welfare.